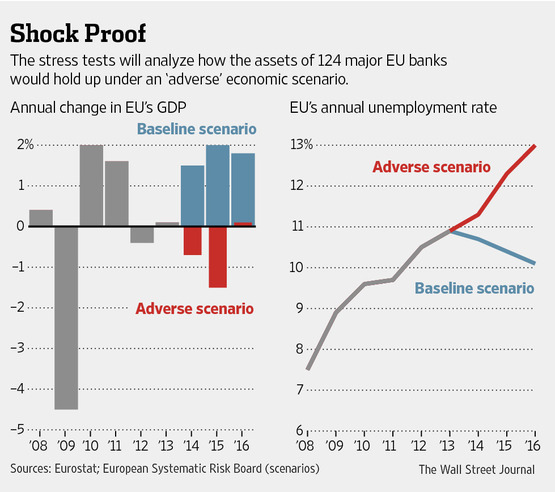 Today, the European Banking Authority (EBA) released the 2014 EU wide stress test methodology and macroeconomic scenarios. Among others, the methodology states that the stress test is conducted on the assumption of a static balance sheet. The zero growth assumption applies on a solo, sub‐consolidated and consolidated basis for both the baseline as well as the adverse scenario. No workout of defaulted assets is assumed in the exercise. In particular, no capital measures taken after the reference date 31/12/13 are to be taken into account. The adverse scenario is designed by the ESRB. According to the EBA, it reflects the systemic risks that are currently assessed as representing the most pertinent threats to the stability of the EU banking sector: (i) an increase in global bond yields amplified by an abrupt reversal in risk assessment, especially towards emerging market economies; (ii) a further deterioration of credit quality in countries with feeble demand; (iii) stalling policy reforms jeopardising confidence in the sustainability of public finances; and (iv) the lack of necessary bank balance sheet repair to maintain affordable market funding. Following, please find an excerpt of the current EBA FAQ. What is the timeline for the stress test? The EBA expects to publish the final results of the 2014 EU-wide stress test in October 2014. The timeline has been agreed and coordinated with the ECB and is, therefore, in line with the overall timeline of the Single Supervisory Mechanism (SSM) Comprehensive Balance Sheet Assessment. Data templates and guidelines will be distributed immediately after the launch of the methodology and scenarios in April 2014. Advance data collection will be started immediately to be completed end of May. First preliminary results are expected to be submitted to the EBA in mid-July and near-final results tentatively early September for the final round of quality checks and then absolute finalisation of the results will be just ahead of publication. Precise deadlines for the data submission of banks will be defined and communicated by the CAs. How will data and results be published? The most important aspect of the EBA’s common EU-wide exercise will be the disclosure of comparable and consistent data and results across the EU. Results will be disclosed on a bank by bank basis and the EBA will act as a data for the final dissemination of the outcome of the common exercise. The level of granularity of the data disclosed will be at least consistent with that of the 2011 EU-wide stress test and 2013 EU-wide Transparency Exercise. 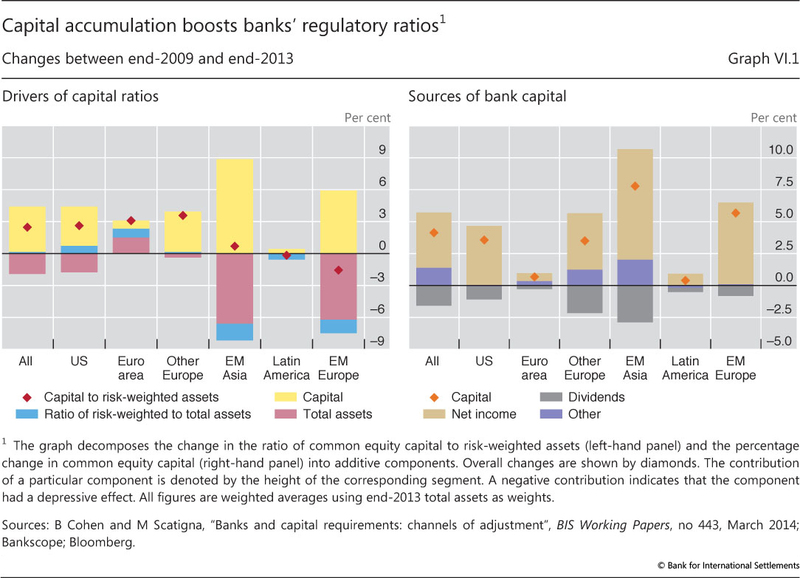 It will include the capital position of banks, risk exposures and sovereign holdings. The credibility of the EU-wide stress test rests on transparency; market participants will be able to determine for themselves how supervisors and banks are dealing with remaining pockets of vulnerability.